In 2005 kwam er een snowobardfilm uit volledig opgenomen in een privé park van Ken Block, eigenaar bij DC. DC had natuurlijk al de skateschoenen en snowboardschoenen en was druk bezig om een volwaardig snowboard bedrijf te worden. Later volgde natuurlijk outerwear en snowboards,maar eerst was er het DC mountain lab, oftwel DC MTN LAB. De bijbehorende film lijkt nu misschien gedateerd, maar was toen top-of-the-game op jib gebied. Check hieronder de originele DC Mtn lab film hieronder. Maar dingen veranderen en na 10 jaar is Ken Block zijn speelgoed beu. Hij heeft het waarschijnlijk te druk met racen in zijn rallywagen en de DC snowboard poot staat inmiddels stevig overeind. Dus staat het DC Mountain Lab met alles er op en eraan te koop. Dus wil jij een kast van een huis met eigen sleeplift, genoeg grond voor een moddervet park en verhuizen naar Amerika? Dan kun je nu meebieden op de veiling van dit stulpje. In the desirable “Ranches at the Preserve,” 1450 and 1496 West Red Hawk Trail will be auctioned TRULY ABSOLUTE as one property to the Highest Bidder WITHOUT RESERVE by DeCaro Luxury Real Estate Auctions on the property site Saturday, December 5th, 2015 at 1:00 PM, MT. With an easy access to Interstate Highway 80, the community of Ranches at the Preserve is within close proximity to charming Park City, Park City’s three world class ski resorts, championship golf courses, fly fishing, hiking and biking, making it an ideal location. The property is approximately 30 minutes to Salt Lake International Airport and the Heber City Airport, which can accommodate private jets. Open Houses begin Saturday, November 14th, 2015, from 1-4 PM and will continue every Saturday and Sunday from 1-4 PM until the auction. The last scheduled open house for this property will be held on Friday, December 4th, 2015 from 1-4 PM, the day before the auction. Private appointments to preview the property are also available by calling the DeCaro Offices at 1.800.332.3767. 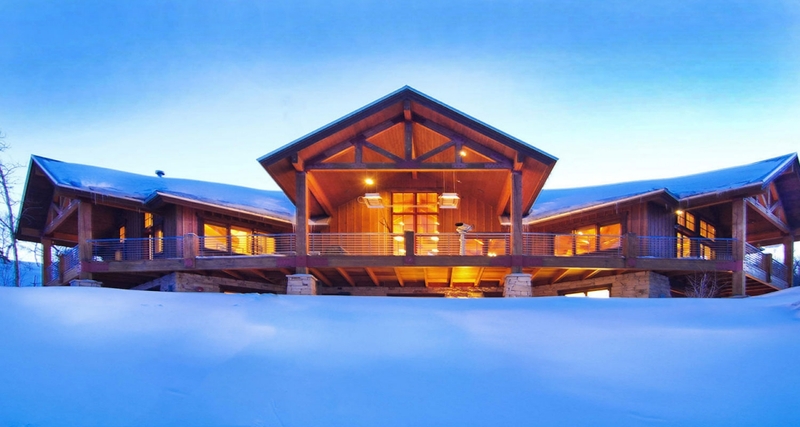 This is a Truly Absolute Auction Opportunity to own signature real estate in Park City. Nestled on 22+ acres and surrounded by open space and BLM (Bureau of Land Management) acreage, is the renowned DC Mountain Lab retreat. The property is comprised of 2 parcels with an allocation of 4 structures. With an existing onsite pad for an 18,000 + square foot main estate residence and space for a future barn and/or caretaker building, this dynamic enclave with its own private gates includes an approximate 3,800 square foot home (which can be a future guest residence), and is perfect for family and friends as a retreat to enjoy year round seasonal adventures.